What size system solar system do I need? A great place to start is to look at your power bill, there is a blue graph towards the bottom left hand side of your power bill next to the graph is your Kilowatt usage. As seen in the displayed photo. This is your average daily KW usage over 24-HR period (day and night consumption) then divide this number by 5. 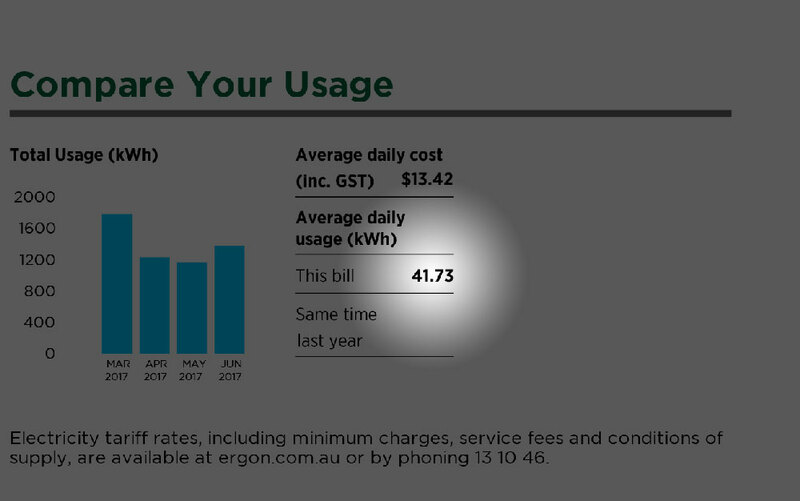 On average, this will give you a figure of a system that will cover your DAY TIME consumption (half of your power bill). Is my switchboard solar compliant? 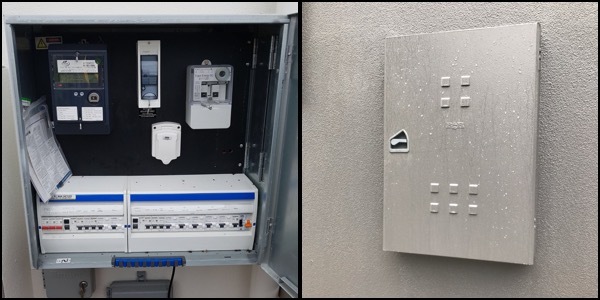 You must have a hinged meter board and an Ergon compliant power box to install a solar system. If you have analogue meters, they need to be upgraded to digital. We cover all of this at your consultation, when you choose to go ahead all of the applications to Ergon are completed and finalised by us! Left: Full switchboard upgrade and relocation required. 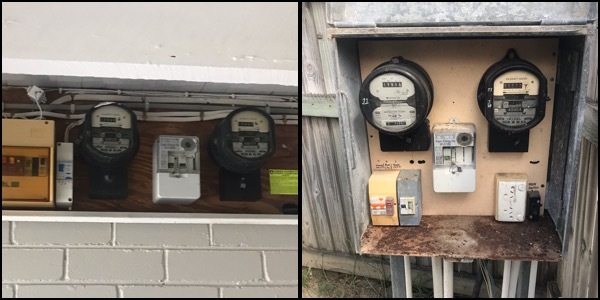 Right: Old analogue meters – Ergon upgrade to digital meters is required. Many new, and some older homes have what is called dual phase or 3 phase homes. This means instead of having one Tariff 11 and one Tariff 33, they have multiple. The appliances in the home are connected to each phase, for example pools, air conditioners and hot water systems are generally connected to tariff 33. Other appliances such as power points and lights are connected to Tariff 11. 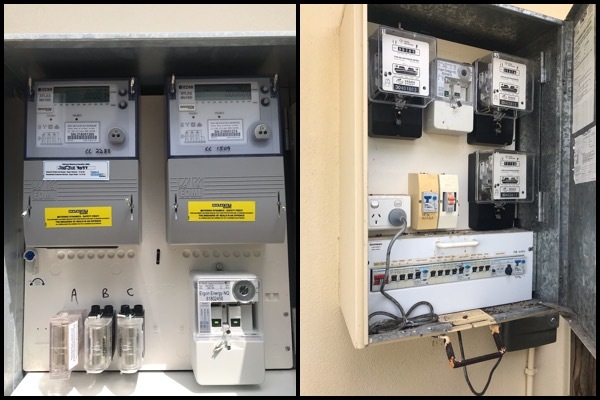 Legally your solar panel system HAS to be connected to Tariff 11, so we ensure all of your phases are being balanced and catered for with 3 phase equipment or multiple single phase inverters for dual phase homes. Each home is different, that is why we conduct our FREE on site consultations to provide you with all of the answers to these questions. What is the difference between single and three phase? 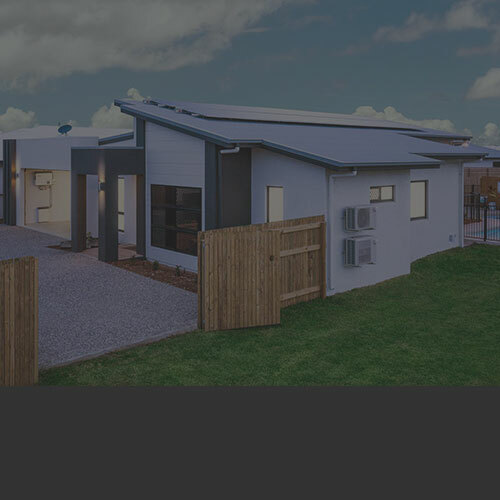 A single phase home only has one Tariff 11 and one Tariff 33, 3 phase have multiple depending on the configuration. This means a single phase inverter is not going to be suitable for a three phase home as it will only cover the load of 1 phase and in turn, not make a significant difference to the consumption of your home. Therefore you won’t see a large decrease in your bill. How do I shut down my solar system? You will have a sticker on the front of the inverter. It will look something like the one displayed. Locate the A/C switch from the solar inverter, turn it off. Locate the D/C switch coming from the solar panels, turn it off. What do I do in a cyclone? 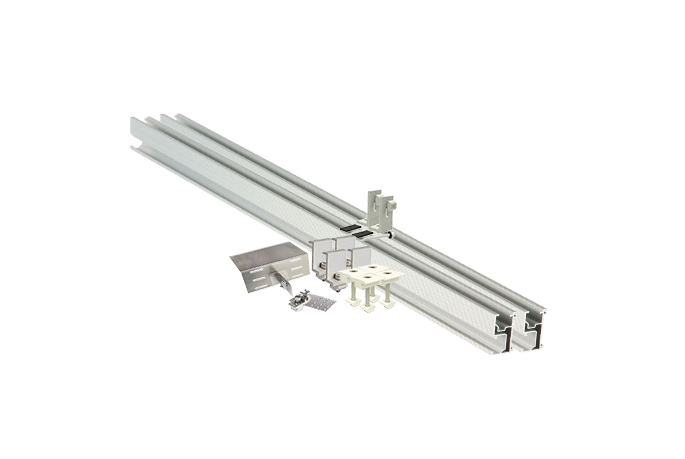 If you have purchased your solar panel system from a reputable company, it will have been installed with cyclone approved and rated rails and racking or tile kits. Please be reassured your solar system is fully complaint and it will not blow off. Can I run my home off my storage in a blackout and what can I run? You can! Most good quality solar and storage systems have Automatic EPS (Emergency Power Supply) so when the grid goes down in a blackout, your system will automatically flick over to your battery storage and run your home. Everything that is on your EPS phase will turn back on, your inverter will run at 50% of its normal output to preserve your battery life. Your PV will also be supporting the load of the home where possible and when the grid comes back on the system will automatically return to its normal running rate as per usual. 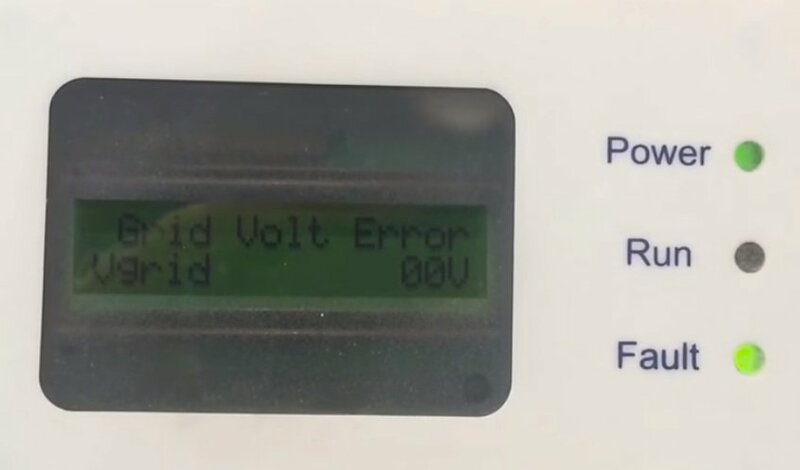 What do I do if an error code comes up on my inverter screen or my online monitoring? 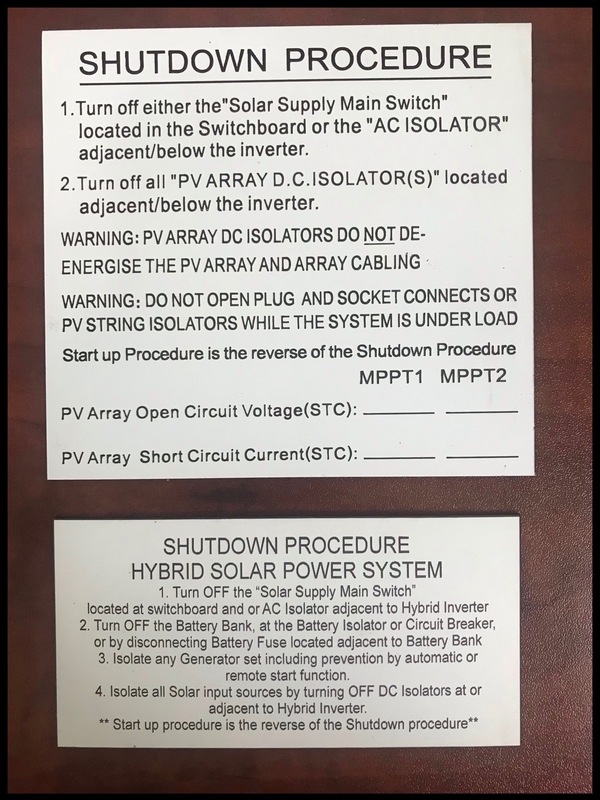 Always record the error code, then try a shut down (procedure above) as displayed on the front of your inverter, and then restart your inverter. If the error is still occurring, give us a call and we will look into it. How do I know the difference between a Hybrid inverter and a Non-Hybrid Inverter? A Hybrid inverter has a battery charger already built into the inverter, whereas a non-hybrid inverter doesn’t. Non-hybrid inverters can sometimes be called “Battery Compliant” with is 100% true as with the new technology we have available today, you can add a Retro Fit Charger to any type of Non-Hybrid inverter. However, this is going to cost you significantly more in the long run than buying a Hybrid inverter with the battery charger already built in. So when you choose to add battery storage, and zero your power bill, all you need to purchase is the battery – that’s it! If I loose Wi-Fi connection with my online monitoring, can I connect it myself? Yes! Please see below video’s. If you cannot get it to work after you have watched the video and tried the step-by-step procedure, please let us know. How do I utilise my online monitoring? 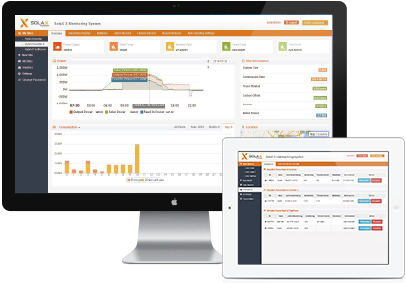 Your online monitoring gives you the ability to see what your solar is producing, what your home is consuming, what you are drawing from the grid or exporting to the grid, and how full or empty your battery storage is – only in a nut shell! If you log into your inverter manufacturer web portal, with the log in details provided to your post-installation you will be able to see all of this and more!